We describe Rondon’s marmoset (Mico rondoni sp. n.) from the Rio Jamari in the Brazilian state of Rondônia and differentiate the species from other Amazonian marmosets on the basis of morphological, genetic, and zoogeographic characteristics. Mico rondoni sp. n. is a typical bare-eared marmoset of predominantly grayish coloration and unpigmented face and cheiridia, which contrasts clearly with its more brownish and pigmented parapatric congeners Mico melanurus and M. nigriceps. Genetically, the new species is unquestionably distinct from Mico emiliae, with which it had been synonimized previously. The geographic range of the new species is defined as the area delimited by the Mamoré, Madeira, and Jiparaná rivers to the west, north, and east, respectively, and the Serra dos Pacaás Novos, to the south, where it is substituted by Mico melanurus. Depending on its exact limits, this range may cover an area of little more than 100,000 km2. A characteristic of the ecology of Mico rondoni sp. n. is its range-wide sympatry with the similarly sized tamarin Saguinus fuscicollis weddelli, which may be a key factor determining the rarity or absence of the new species from many areas within its geographic range. Its apparent scarcity may make the new species exceptionally vulnerable to the effects of the intense human colonization occurring throughout much of its known range, and provoke cause for concern for its long-term survival. Fieldwork was supported by Tecnosolo S.A./DHV Consultants, SEDAM-Rondônia, and the John T. and Catherine D. MacArthur Foundation. Genetic analyses were supported by CAPES. S. F. Ferrari and M. P. C. Schneider thank CNPq for research stipends (302747/2008-7 and 311121/2006-3). 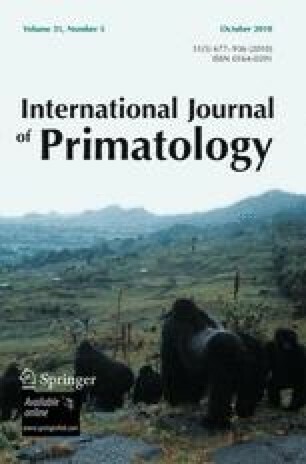 We thank Mário de Vivo (Museu de Zoologia), João Alves Oliveira (Museu Nacional), the National Primate Centre, and the Rio de Janeiro Primate Centre for access to specimens. We especially thank Aderson Avelar, Anthony Rylands, Cida Lopes, Ernesto Cruz, Horacio Schneider, Inocêncio Gorayeb, Izaura Muniz, Marcelo Vallinoto, and Simone Iwanaga. Special thanks to Stephen Nash for the drawing of the new species. Mico rondoni: Rondônia: UHE Samuel, Rio Jamari (type locality): MN-28486, MPEG-21366, 21367, 21646, 21647, 21648, 21649, 21650, 21651, 21652, 21653, 21654, 21655, 21656, 21657, 21658, 21659, 21660, 21885, 21886, 21887, 21888, 21889, 21890, 21891, 21892, 21893, 21894, 21895, 21896, 21897, 21898. Mico emiliae: Pará: Maloca, Rio Curuá, left bank tributary of the Rio Iriri (type locality): MPEG-170; Serra do Cachimbo: MPEG-38104, 38105, 38106; Mato Grosso: Alta Floresta: MPEG-24595, 24596; Ourolândia, Alta Floresta: MPEG-24606, 24608, 24609. Mico nigriceps: Amazonas: Lago dos Reis, BR-230 (Humaitá-Itaituba), Km 17, right bank of the Rio Madeira (type locality): MPEG-21996, 21998, 21999; Lago dos Reis, BR-230 (Humaitá-Apuí), Km 18, right bank of the Rio Madeira: MPEG-22956, 22957, 22958, 22959; BR-230 (Humaitá-Apuí), Km 104, right bank of the Rio dos Marmelos: MPEG-22961, 22962; BR-230 (Humaitá-Apuí), Km 164, right bank of the Rio dos Marmelos: MPEG-22955; BR-230 (Humaitá-Apuí), Km 292, right bank of the Rio dos Marmelos: MPEG-22960. Mico melanurus: Rondônia: BR-429, São Francisco do Guaporé: MPEG-38102, 38103; Mato Grosso: Jururu, Salto: MN-2853; Rio Aricá: MN-2854, 2855, MZUSP-6327, 6328, 6330, 6333; São Luís de Cáceres: MN-5843, 5845, 5847, 5849; Chapada dos Guimarães: MN-24912, 24913; Porto Esperidião: MN-25008; Cidade Humboldt, Rio Aripuanã: MPEG-13289, 13290, 13295, 13296, 15266, 15267, 21395, 21396; Santo Antônio do Laverger: MZUSP-4263, 4264, 4265, 4266; Mato Grosso do Sul: Corumbá: MZUSP-3367, 3368, 3369, 3370, 3376; Palmeiras: MZUSP-6329. Mico argentatus: Pará: Cametá (type locality): MZUSP-4833, 4916, 4967, 4968; Fazenda Vaicajá, Cametá: MPEG-29, 38, 151, 156, 157, 162, 163, 164, 165, 583, MN-2845, 2846; Estrada PA-156 (Cametá-Tucuruí), Km 27: MPEG-23156, 23157, 23158; Rio Tocantins: MN-5954; Rio Pracupi, Portel: MPEG-336; Altamira, Rio Xingu: MPEG-166; Colônia Mararu, Rio Tapajós: MPEG-154; Fazenda Marucu: MZUSP-3588, 3589, 3590, 3591, 3592, 3593, 3594, 3595, 3596; Tauari: MZUSP-4313, 11272, 11307, 11308; Os Patos: MZUSP-11367; Caxiricatuba: MZUSP-4829, 4865, 4900, 4901, 4902, 4903, 4904, 4906, 4907, 4908, 4909, 4911, 4913, 4940, 4959, 4964, 4965, 4966, 4969, 4970, 4972, 4973, 4974, 4975, 5007, 5026, 11407, 18865; Piquiatuba: MZUSP_4840, 4899, 4905, 4910, 4914, 4915, 4918; Mojuí dos Campos, Rio Tapajós: MPEG-13288, 13291, 13292, 13293, 21372, 21373, 21389, 21390, 21393, 21394; Belterra, Rio Tapajós: MPEG-269, 916, 6878, 8951, 8952, 8954, 8955, 8982, 8983, 8984, 8985, 8986, 8987, 9200, 9201, 9202, 9203, 9204, 9205, 9206, 9207, 9208, 9212, 9852, 10021, 10022, 10023, 10024, 10025, 10026, 11361, 11362, 11363, 11364, 11365, 11366, 11367, 11368, 11369, 21375, 21377, 21378, 21379, 21380, 21383, 21385, 21387, 21388, 22922, 22923, 22924, 22925, 22923, 22927, 22928, 22929; Curuá-Una: MPEG-11372, 11373, 11374; Santarém: MZUSP- 4971, 6633, MN-5953, 11571, 11572, 11573, 11574, 11575, 11577, MPEG-269, 328, 917, 918, 961, 6878, 21384, 21386, 21391; Fazenda Taperinha: MPEG-1460, 4776, 4777; Vila São Brás, Rio Tapajós: MPEG-21374; Rio Tapajós: MN-5946; Born at Centro Nacional de Primatas, Ananindeua: MPEG-21630, 21631, 21632, 21633, 21634, 21635, 21636, 21637; Origin unknown: MN-2847, 2848, 2849, 5718, 11576; 11915, MPEG-21376, 21381, 21382, 21392, 21414. Mico leucippe: Pará: Monte Cristo, Rio Tapajós: MZUSP-3598, 3599, 3600, 3602, 3603, 11361; Pedreira, Rio Tapajós: MZUSP-9964; Lago do Araipá, Rio Tapajós: MZUSP-9965; Tavio, Rio Tapajós: MZUSP-10094, 11394; Fordlândia, Rio Tapajós: MN-4798, MZUSP-10093, 11248, 11249, 11280, 11281, 11291, 11295, 11296, 11305, 11311, 11402, 11403; Origin unknown: MPEG-10034. Mico marcai: Amazonas: Mouth of the Rio Castanho (type locality): MN-2951, 2856, 2857. Mico saterei: Amazonas: Foz do Canumã, right bank of the lower Rio Canumã, municipality of Borba (type locality): MPEG-23955, 23956; São João, left bank of the Rio Marimari, left tributary of the Rio Abacaxis: MPEG-23957, 23958; Terra Preta, right bank of the Rio Abacaxis: MPEG-23959, 23960; Locality unknown: MPEG-23961.